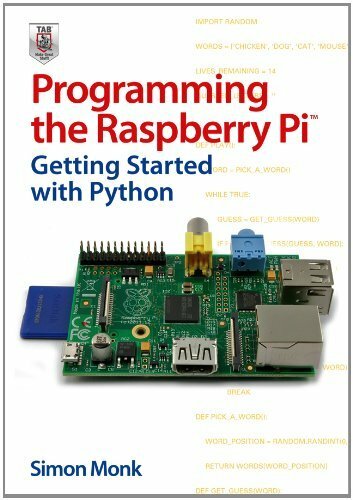 I just finished reading Programming Raspberry Pi: Getting Started with Python. I really liked it! Actually, it was really quite amazing at how much ground Simon Monk could cover in a mere 158 pages. The whole way through, he kept things really, really simple. My favorite example of this was when he built a simple web scraper that didn't even use regular expressions, let alone an HTML or XML parser! He managed to do it using nothing more than a bunch of calls to find()! It's not what I would write as a production programmer, but as a way of getting a total newbie started? Wow! I bought this book for my oldest three children, ages 7-11. They haven't read it yet, but I have high hopes that this will be the book that teaches them Python.